The highest achieving BCom undergraduate students have been honoured at the annual Dean's Award Ceremony. There was a tangible buzz in the foyer of The Spot Building as more than 150 students, their teachers, friends and family gathered in anticipation of the start of the Dean’s Award Ceremony. 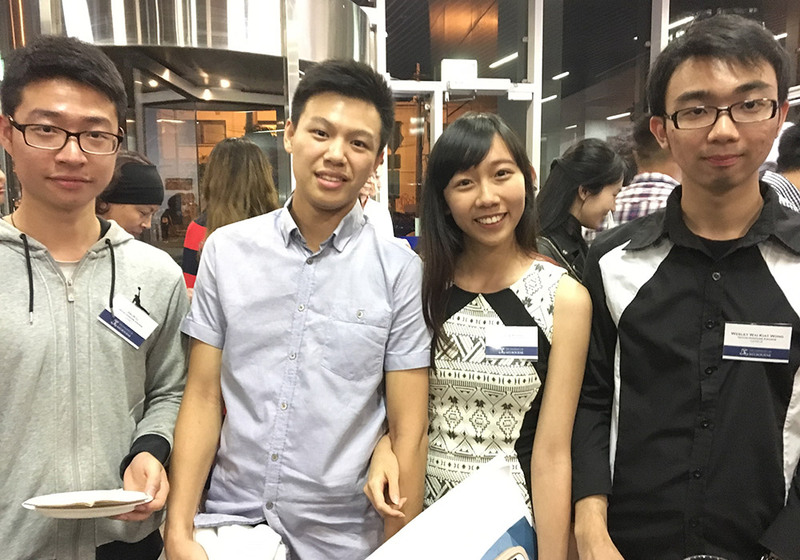 The annual event celebrates the highest achieving Bachelor of Commerce students across all years of study – they are the students who have achieved grades in the top three per cent for their year levels. In his opening address in the Copland Theatre, Faculty Dean Professor Paul Kofman told the students they should be extremely proud of their achievements, and he hoped they would remember the occasion fondly for the rest of their lives. “We are proud of you; you are the cream of the crop,” he said. Prof Kofman also gave a special welcome to the students’ friends and family who were supporting them at the event. (L-R) Jialin Li, Jason Yau, Wen Qi Phang and Wesley Wai Kiat Wong. After the top level one and two students received their awards, BCom (2013) alumna Eloise Watson, now an Investment Manager at early-stage venture capital firm Rampersand gave a stirring congratulatory address. She told the students they will need to be prepared to be flexible in their careers. “Know when to pivot, and know when to stay your course,” she advised. Speaking after the ceremony, Eloise said speaking in front of these outstanding University of Melbourne students was intimidating. “These are some of the brightest minds in the country,” she said. “But it gave me a good cause for reflection on what it was like to be sitting there, full of excitement and ready to take on any challenge. 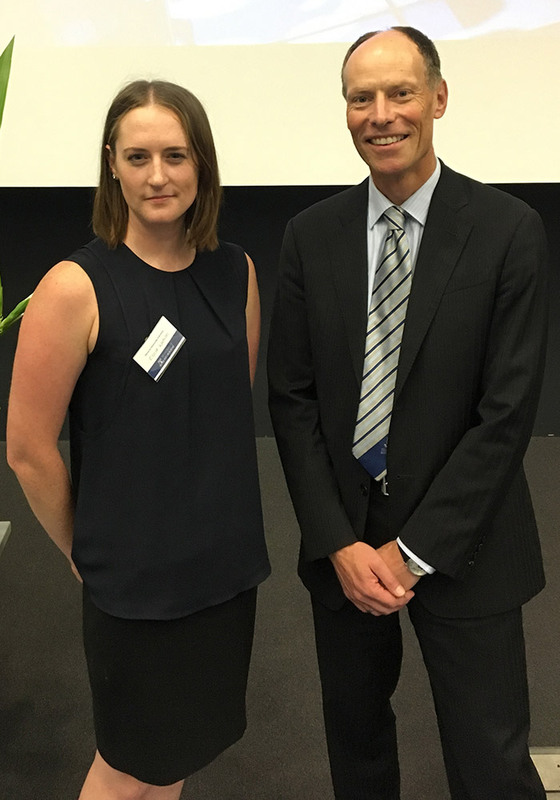 Eloise Watson with Professor Paul Kofman. “Over my four years I developed an ability to break problems down into their components and solve each piece systematically. “Through doing a range of subjects from economics, accounting, finance and management, (I developed) a deep understanding of how all the different aspects of the financial world come together and how these different parts interact. 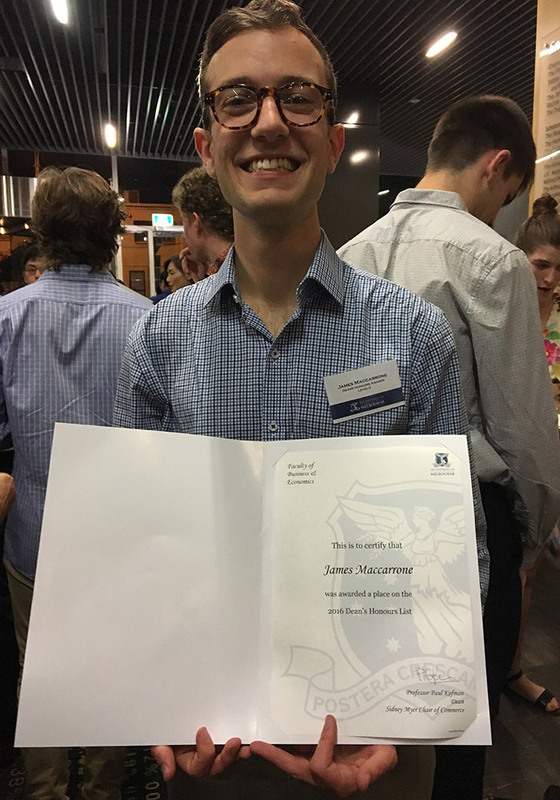 After the highest achieving third year BCom students received their awards, the Bachelor of Commerce Medal winner was announced as James Maccarrone – now doing the Economics Honours program at the University of Melbourne. This is certainly something James has done during his time at the Faculty of Business and Economics. “I have been fortunate to have had the opportunity to be involved in a great variety of extracurricular activities including the Economics Student Society of Australia, case competitions and the Melbourne University Debating Society,” James said, after the Ceremony. “My experience at the University of Melbourne has been an exciting journey where I have met many interesting people, and learnt a lot about the world inside and outside the classroom,” he said. At the end of the Ceremony, Deputy Dean Professor Paul Jensen told the students to ‘stay connected with us after you graduate’ as an FBE alumni. Congratulations to all the students who received an award at the Dean’s Award Ceremony.